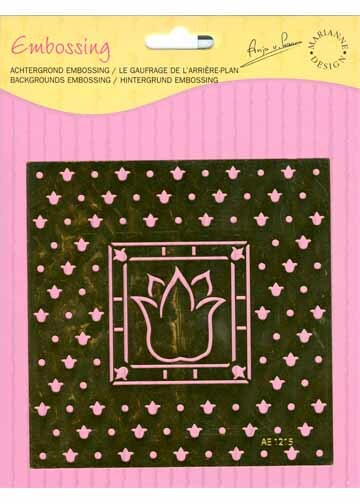 Background Embossing Stencil - large tulip. Paper used can be parchment, vellum or cardstock depending on the effect you wish to achieve. Use the small heart design as a background or leave the center and create the entire card. Many possibilities. Stencil measures 5 1/4" x 5 1/4".